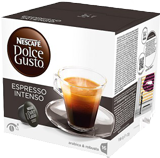 Purchase any NESCAFÉ DOLCE GUSTO® coffee machine in store or online between 1/4/19 and 31/5/19. Promotion ends either 31/5/19 or when 2,000 claims are received, whichever occurs first. Keep your purchase receipt till the end of the promotional period. If you’ve already made your purchase, simply submit your claim by completing the details below. To verify your entry, please upload a copy of your receipt as proof of purchase. Allow 14 days to receive your gift, the tin will arrive separately from your order. See full terms of offer. * I confirm that I am 18+ and I am resident of Australia. This is coffee that will amaze your tastebuds, transporting you to your favourite coffee shop from your living room. With NESCAFÉ® Dolce Gusto® you can create masterpieces every day. *Offer available when you purchase any NESCAFÉ DOLCE GUSTO® coffee machine in store or online. Offer applies to purchases from 1/4/19 and ends the earlier of 31/5/19 or when 2,000 claims have been received, whichever occurs first. Retain receipt. Redeem at www.dolce-gusto.com.au & follow the prompts to redeem your personalised metal tin with capsules. Tin of capsules contains a random selection of capsules (total gift value $25). Claimant required to register machine purchased. Claim close date 31/05/2019. First 2000 claimants will receive this gift. 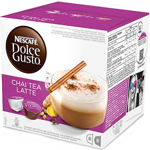 Cannot be used with any other NESCAFÉ DOLCE GUSTO® promotion, discount or offer. One (1) claim per purchase. Full terms of offer available at www.dolce-gusto.com.au.